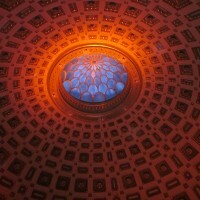 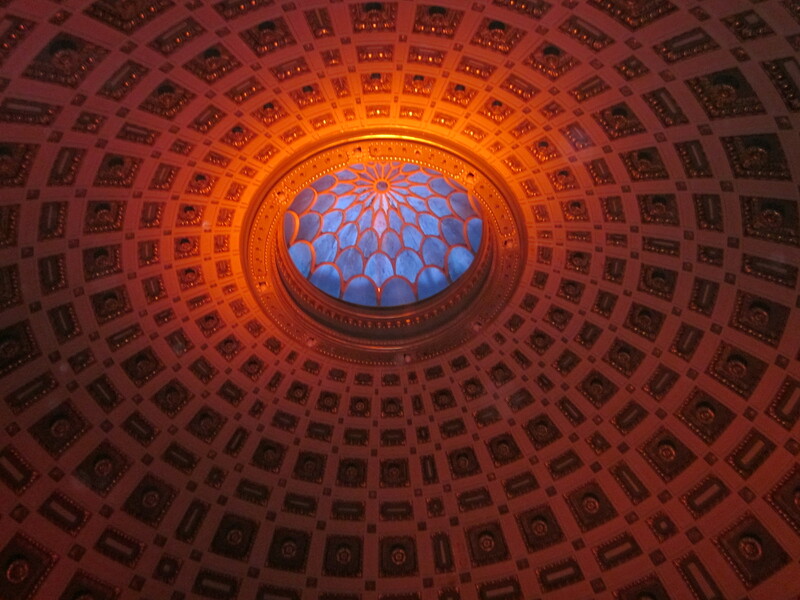 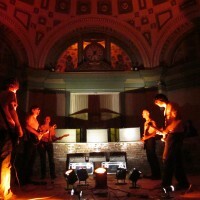 Tangerine was a one-time performance installation at the former Old Stone Bank building, a grand neoclassical structure modeled on the Pantheon in Rome. 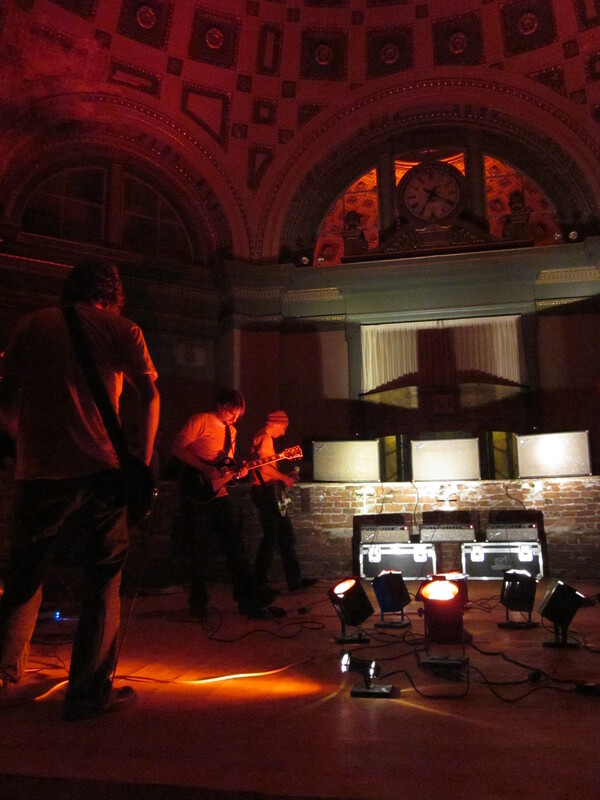 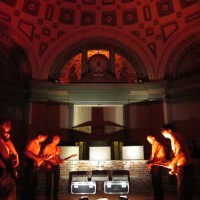 A light and sound project, Tangerine featured an orginal guitar composition performed live by musicians Mac Randall, Nich Haber, Tom Gavin, Rob Kemp and Christian Caldarone. 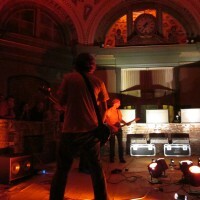 The guitars were played using vintage Fender Bandmaster amps. 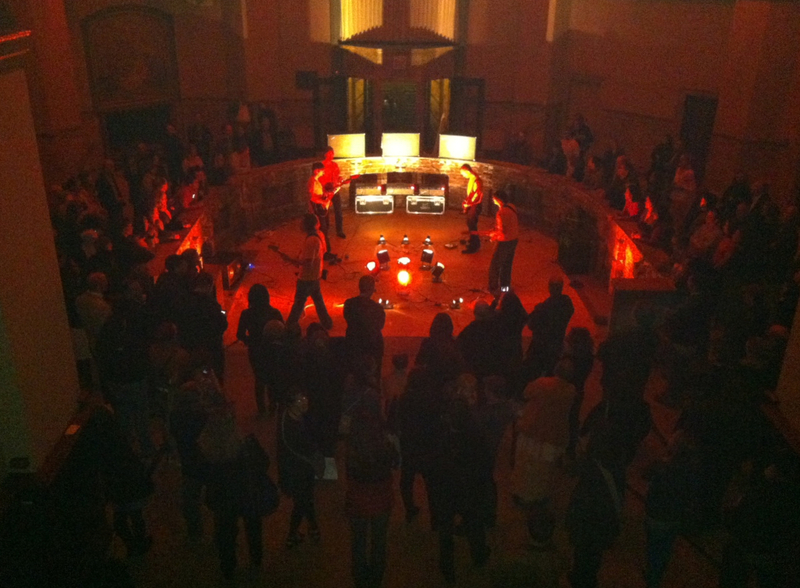 The piece explored the visual experience of a sound-based encounter. 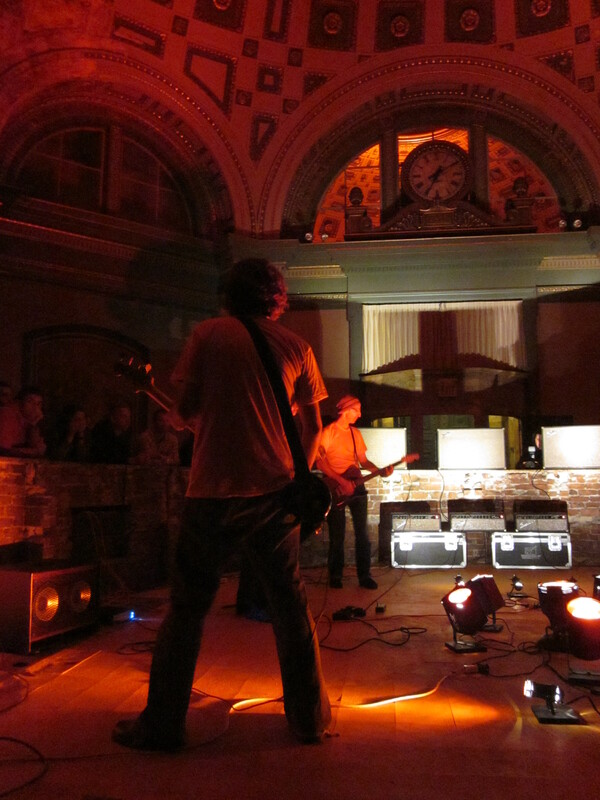 Employing the same reductive means as in my other installations, I isolated the components I find central to the experience of a live rock show and made those components the sole elements in the work. 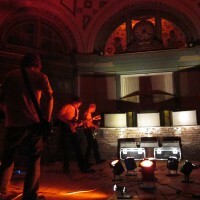 The building was an ideal location for the piece as it embodies the intersection of pantheistic worship and hard nosed commerce. 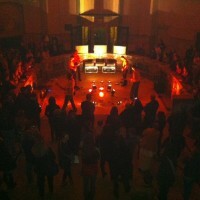 Just like rock and roll.